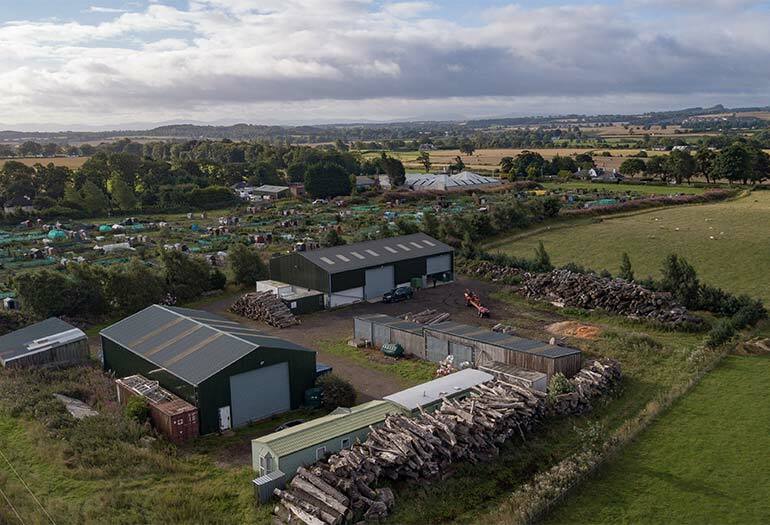 For 17 years, Sandy ran a successful arborist business in Scotland. 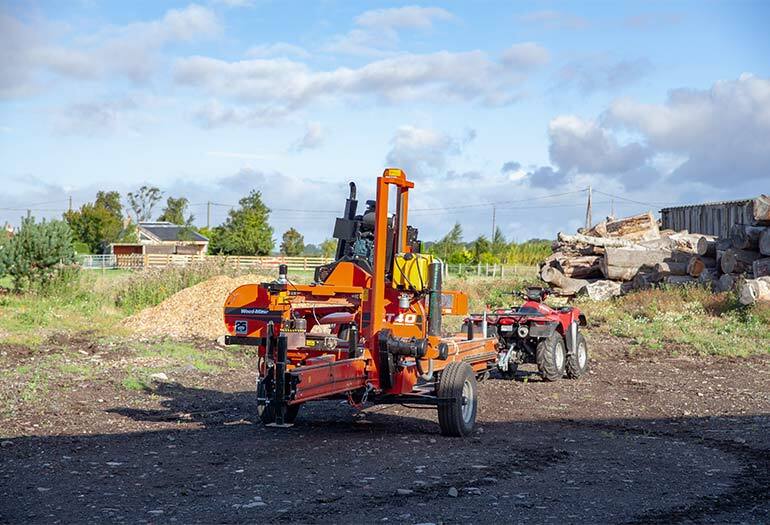 Now he’s ready to settle down, and his version of ‘retirement’ is building his own house among the rolling green hills west of Edinburgh, while investing in more and more Wood-Mizer equipment. 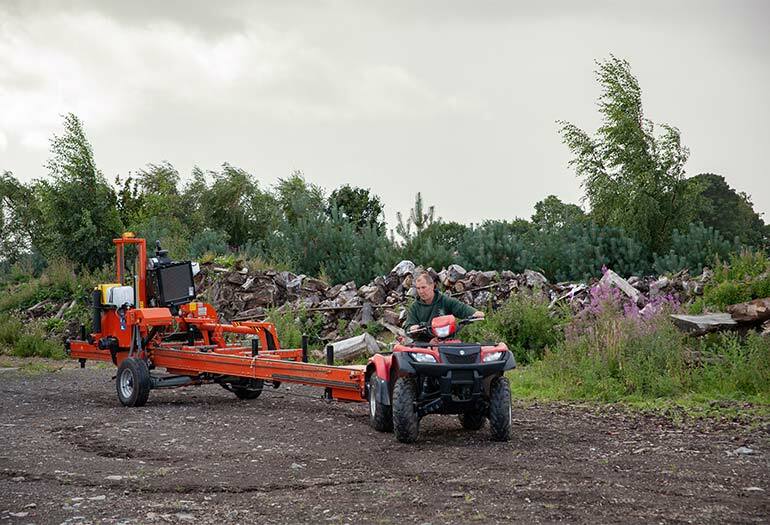 Sandy has a mobile LT40 sawmill, plus a WM1000 wide capacity sawmill, which was the first of its kind in Scotland. 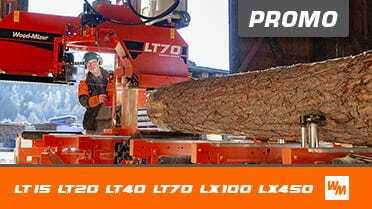 “The WM1000 is for breaking down large timber to make tablestops and furniture,” Sandy shares. 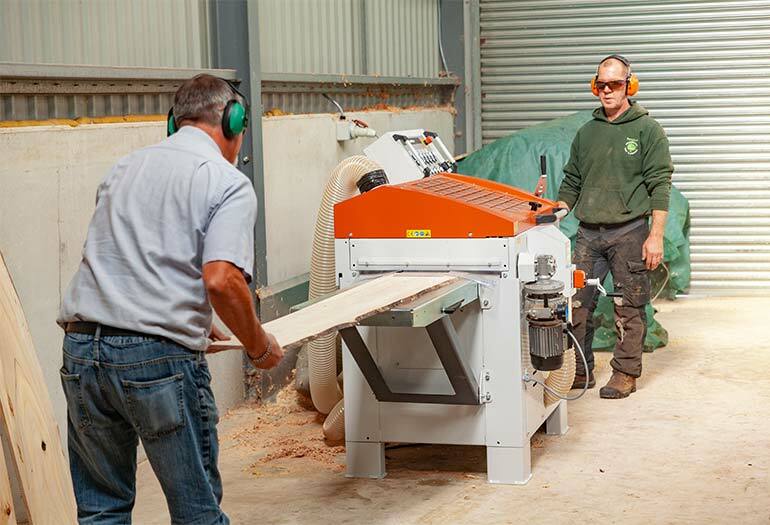 “And I have an LT40 that’s mobile to be able to go onsite, whether for contract milling or just milling for myself.” “And just recently I’ve bought a MP360 Planer/Moulder from Wood-Mizer,” Sandy says. The MP360 planes and moulds on all four sides of boards at once - a necessary step in producing finished wood products from rough-sawn lumber. 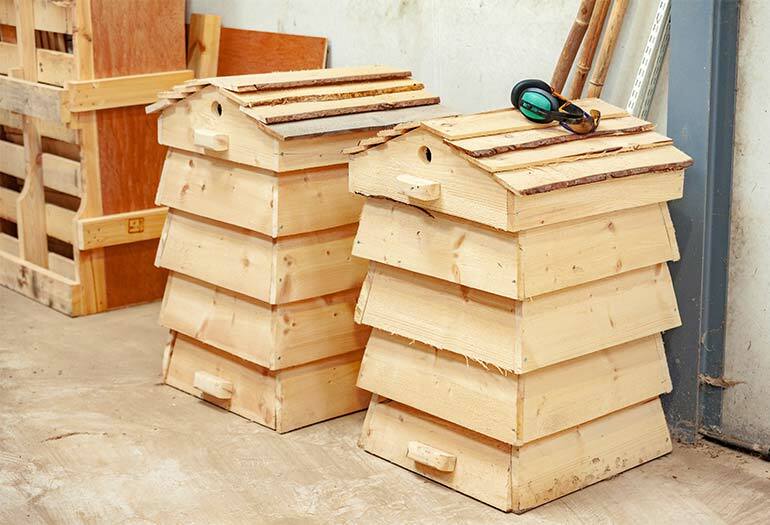 This ability to plane and mould timber was previously missing from Sandy’s workshop. 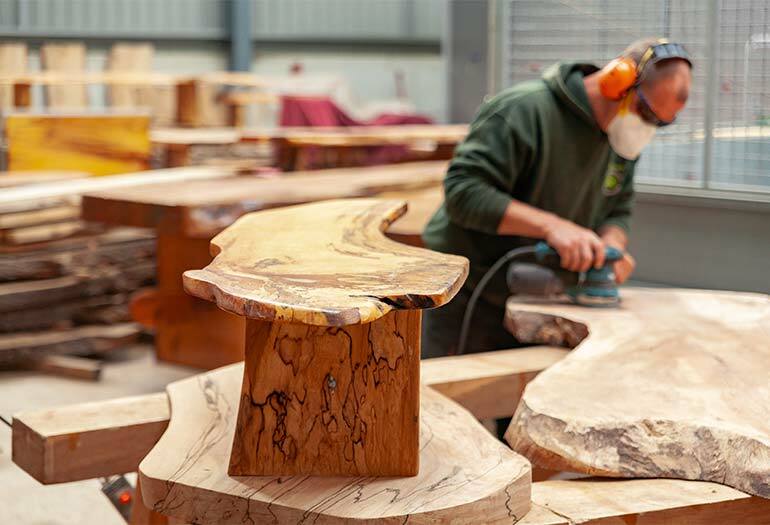 “I was starting to make tables, and I had customers looking for tongue-in-groove and such. I looked around and did a lot of research on the internet, and the MP360 covered everything - all the bases I needed.” One of the main reasons that Sandy was attracted to the MP360 was for its ease of use and its flexibility to handle different kinds of moulding projects in large or small quantities. “I don’t want to spend half a day adjusting the machine to do half an hour’s cutting,” Sandy says. 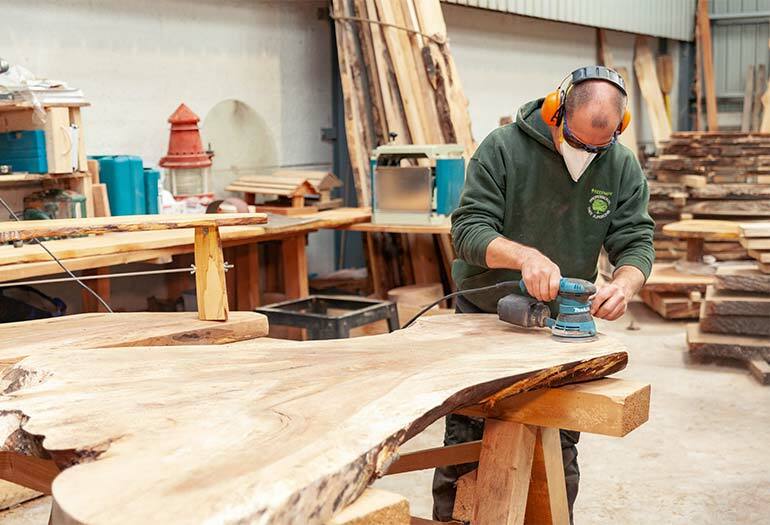 “With the MP360, I can be moulding big timber one minute, and then be making tongue-in-groove the next. It’s a ten minute job to switch out a couple of knives. 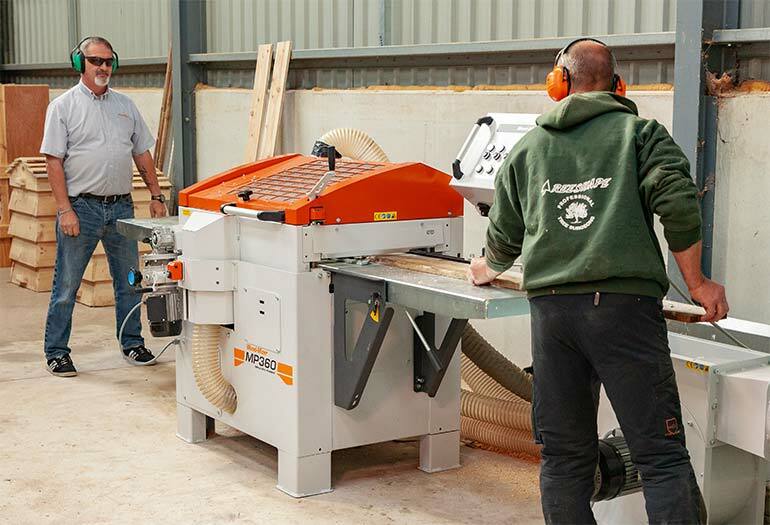 Its ease of use and compactness make it a very user-friendly machine.” Now with his planer/moulder in place in the workshop, he can handle just about any custom timber projects that come his way. 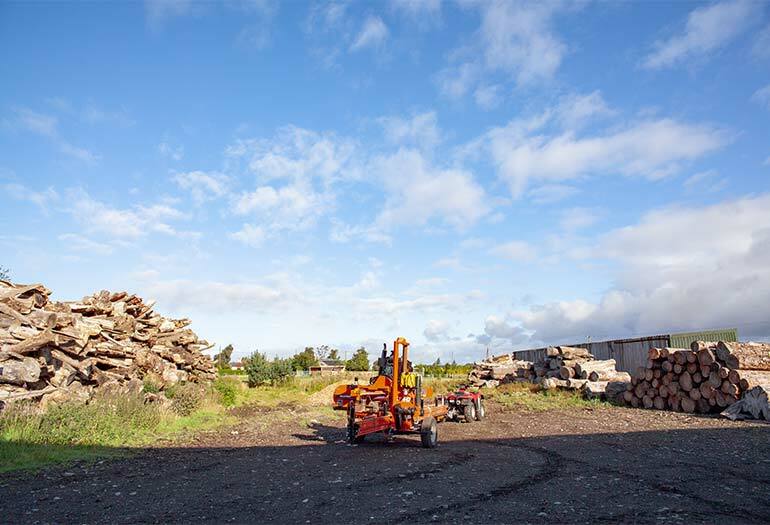 “Customers come into the yard and pick a log,” Sandy says. “I personally felled them all, so I know the history of each one. I put it on the WM1000, and break it down into cants. Then I resaw it on the LT40, and finally I put it through the planer/moulder to their specification. By having it all in-house, The MP360 Moulder/Planer will help me diversify into a much larger market. I fell trees and I produce a finished product.” Sandy is planning to build a house next to his current workshop and equipment barn. The MP360 will be put to good use throughout the build.